Former Gatundu North MP, Patrick Muiruri has been awarded Sh15.8 million as damages by the High Court after police illegally shot his son, James Ng’ang’a Muiruri. James Ng’ang’a Muiruri was shot back in 2009 after he allegedly got into a fight with five men outside a club leading to him being shot. 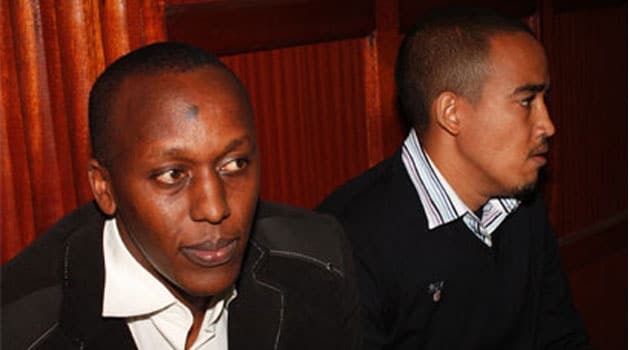 Former Police Officer involved, inspector Dickson Munene and businessman Alex Chepkonga were found guilty of the murder and sentenced to death in 2011 by Justice Mohamed Warsame. Chepkonga was later acquitted after challenging the verdict at the Court of Appeal. The family will be paid Sh100,000 for pain and suffering, loss of expectation of life ShSh200,000, loss of dependency Sh12,000,000, special damages Sh1,557,736 and exemplary damages Sh2,000,000.